A portable unit designed for facilitating communication between a speaker and wearer/s of T-coil hearing aids. 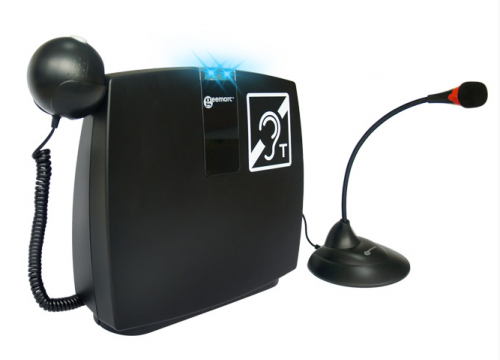 The LoopHEAR™ is ideal for one to one applications such as at service counters, railway stations, banks, in vehicles and at small meetings. 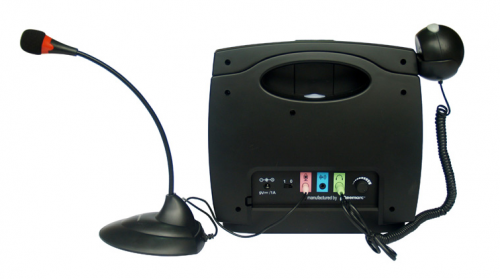 This lightweight unit includes, within the casing: an induction loop, a built-in amplifier and an external earpiece. Additional earpiece for non-wearers of hearing aids or for wearer of hearing aids who don’t have the T position.